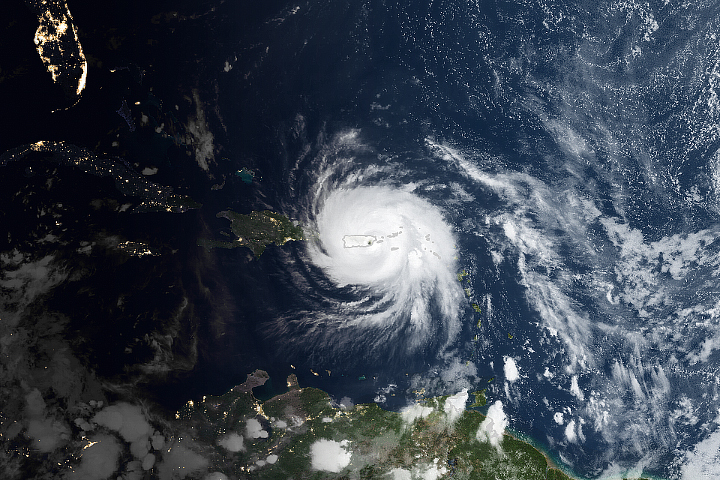 On September 20, 2017, Hurricane Maria slammed into southeastern Puerto Rico with ferocious winds, a catastrophic storm surge, and torrential rainfall. The powerful storm dramatically altered the landscape. 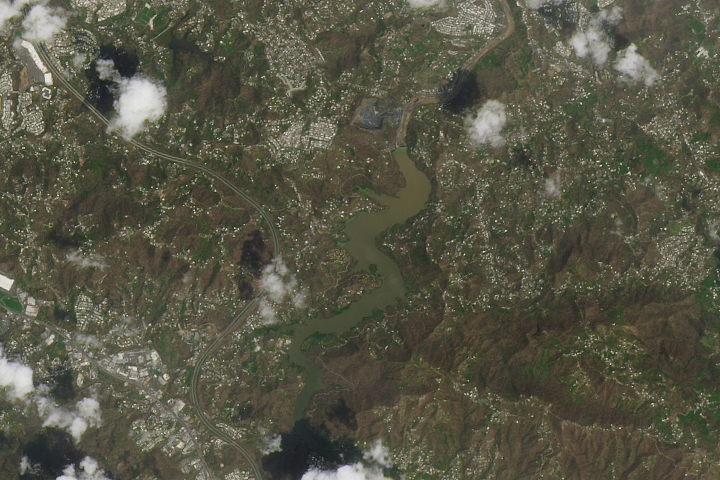 Nighttime satellite images showed much of Puerto Rico cast into darkness. The entire electrical grid had failed, as the storm toppled 80 percent of utility poles and downed all the transmission lines. Only 5 percent of the island had cell phone service, and just 20 percent of residents had running water. Hundreds of thousands of homes were damaged or destroyed. Most roads were impassable. A third of the island’s forests were stripped bare. One year later, much has improved, though major problems remain. The power grid, though still spotty, is back online. Cell phones and drinking water systems work again. The economy is showing signs of growth. 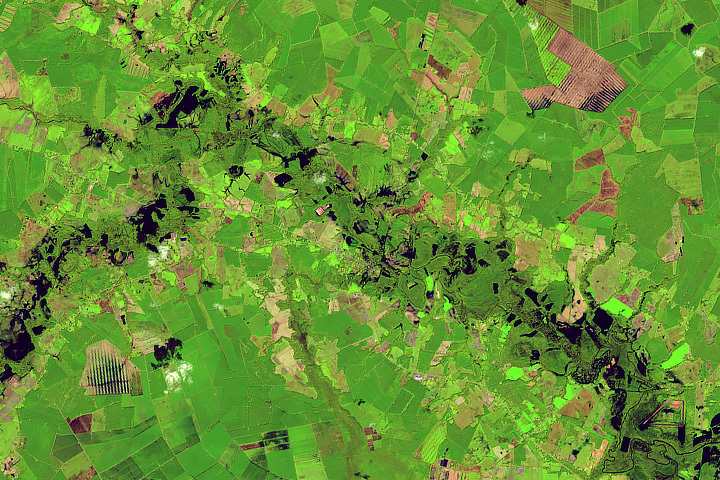 Forests have bounced back. 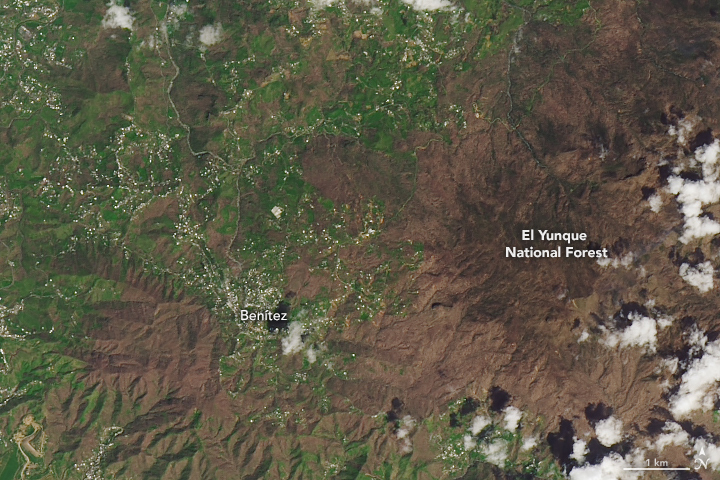 The Operational Land Imager (OLI) on Landsat 8 acquired a pair of images (above) showing the western part of El Yunque National Forest in October 12, 2017, (left) and September 13, 2018 (right). 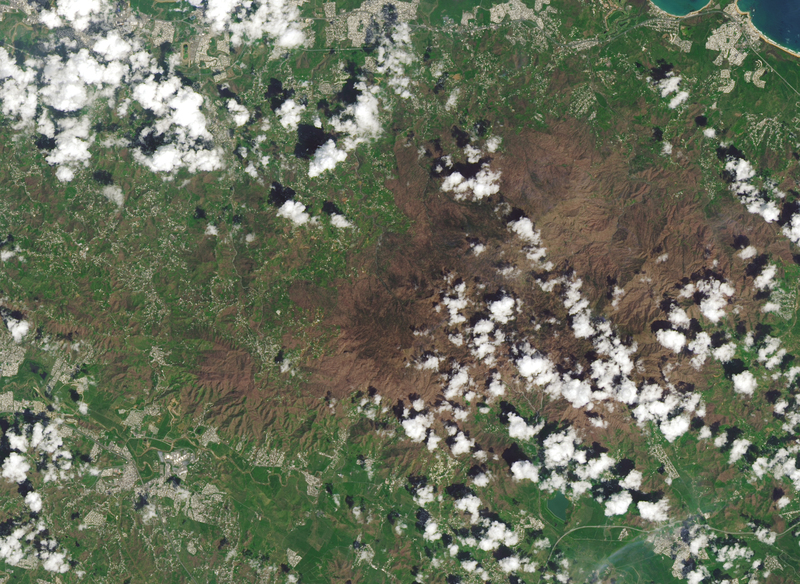 The storm killed or severely damaged 21 to 33 million trees across the island—mainly in high-elevation areas such as El Yunque—according to one scientific assessment. But field research also indicated that 87 percent of tree trunks were left standing, so many forests have recovered quickly and started to reestablish lush, green canopies. In other realms, the progress has been slower. 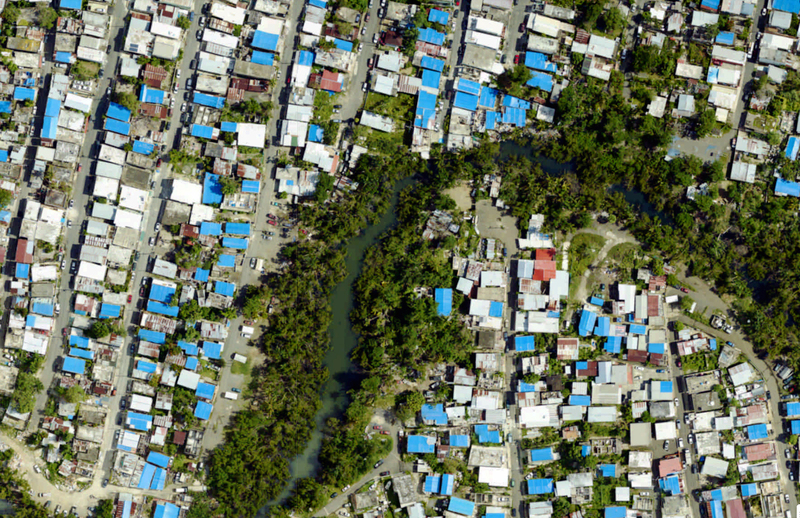 In the year since the storm, the Federal Emergency Management Agency (FEMA) and United States Army Corps of Engineers distributed 126,000 blue tarps and nearly 60,000 temporary blue roofs to people awaiting repairs on damaged homes. In many areas, the distinctive blue roofs are still ubiquitous. 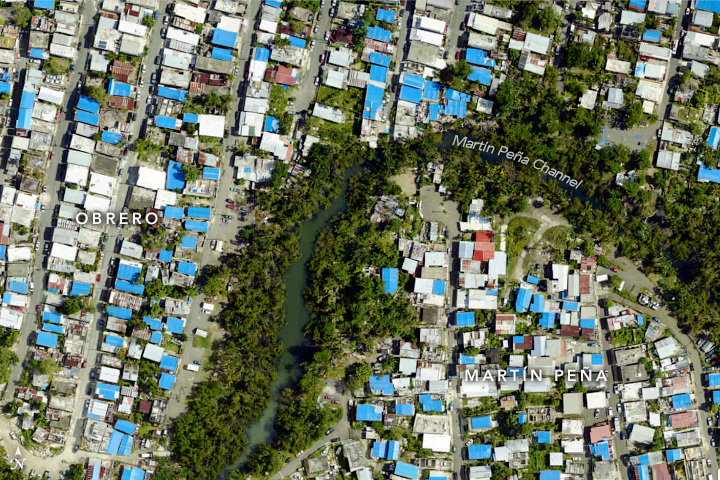 An aerial photograph above shows damaged roofs in Barrio Obrero, one of several impoverished neighborhoods clustered along the flood-prone Martín Peña Channel. Though broad mangrove swamps once lined the canal, development and pollution have pushed most of them out. 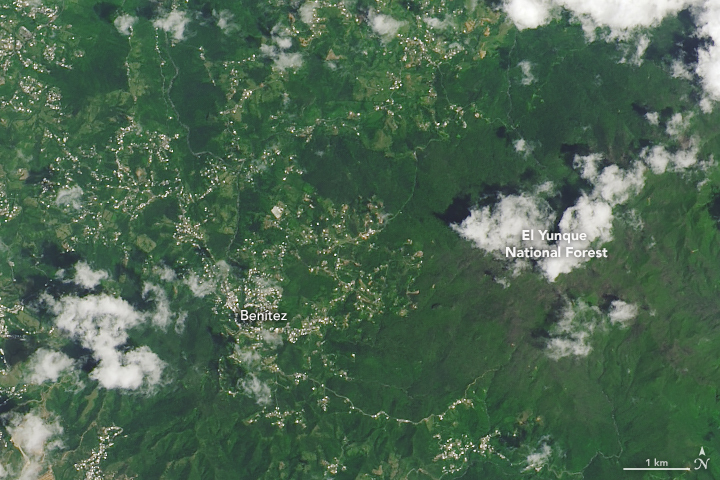 The two images were acquired in April 2018 and March 2017 by a team of NASA scientists that has been studying Puerto Rico’s forests and mangroves. NASA Earth Observatory images by Lauren Dauphin, using Landsat data from the U.S. Geological Survey and aerial imagery from G-LiHT. Story by Adam Voiland. Forests are on the path to recovery even as many roof repairs remain undone. Associated Press (2018, June 20) Many in Puerto Rico still under tarps as storm threat looms. Accessed September 20, 2018. 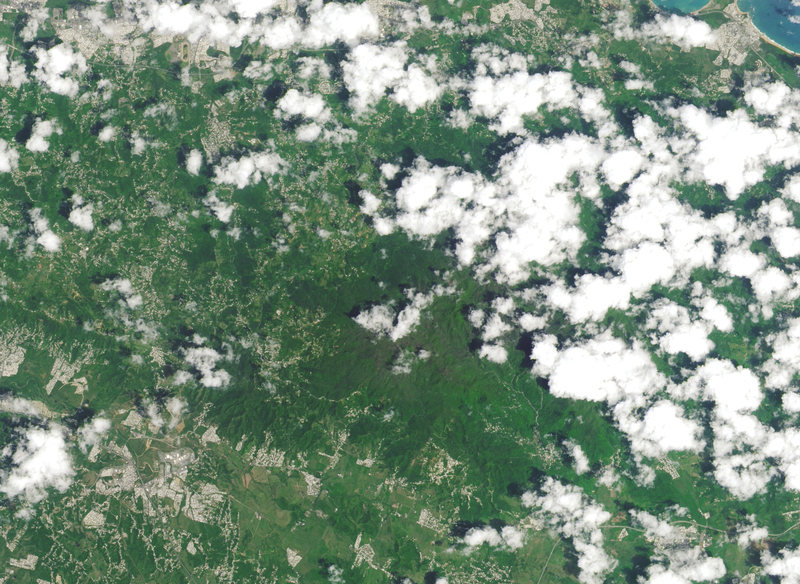 Berkeley Lab (2018, March 1) Assessing the Impact of Hurricanes on Puerto Rico’s Forests. Accessed September 20, 2018. Columbia University (2018, March 22) Climate Change and the Re-Greening of Puerto Rico. Accessed September 20, 2018. Federal Emergency Management Agency (2018) Hurricane FEMA. Accessed September 20, 2018. 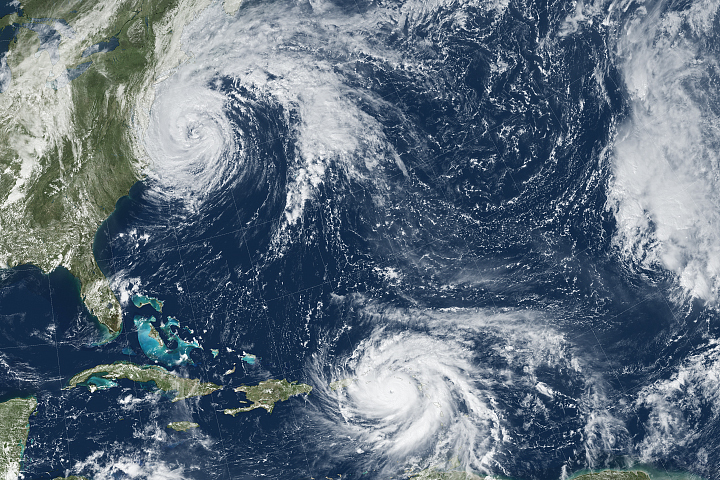 George Washington University (2018, August 29) GW Researchers: 2,975 Excess Deaths Linked to Hurricane Maria. Accessed September 20, 2018. Global Forest Watch (2018, August 1) While Puerto Rico’s People Still Suffer the Effects of Hurricane Maria, its Forests are Faring much Better. Accessed September 20, 2018. Miami Herald (2018, February 14) Puerto Rico recovery: roofless homes, closed schools, an island left to fend for itself. Accessed September 20, 2018. 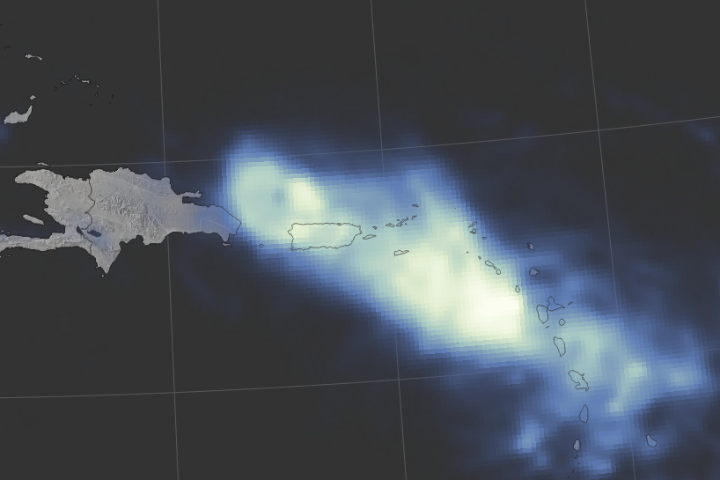 NASA Earth Observatory Hurricane Maria. National Weather Service (2018) Hurricane Maria. Accessed September 20, 2018. Rolling Stone (2017, October 17) Hurricane Maria: Inside a Puerto Rican Barrio’s Fight to Survive. Accessed September 20, 2018. 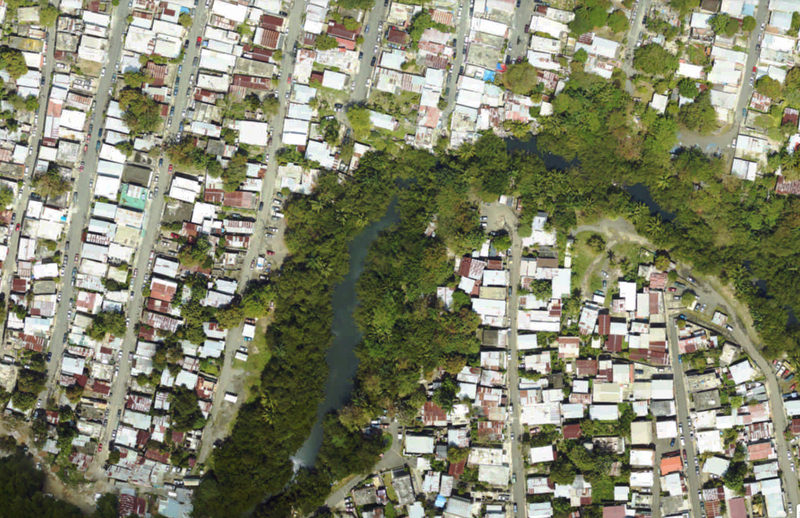 The City University of New York (2018, June) The Housing Crisis in Puerto Rico and the Impact of Hurricane Maria. Accessed September 20, 2018. The New York Times (2018) Puerto Rico’s Ruins. Accessed September 20, 2018. University of North Carolina (2018) Rooted in El Cano. Accessed September 20, 2018.